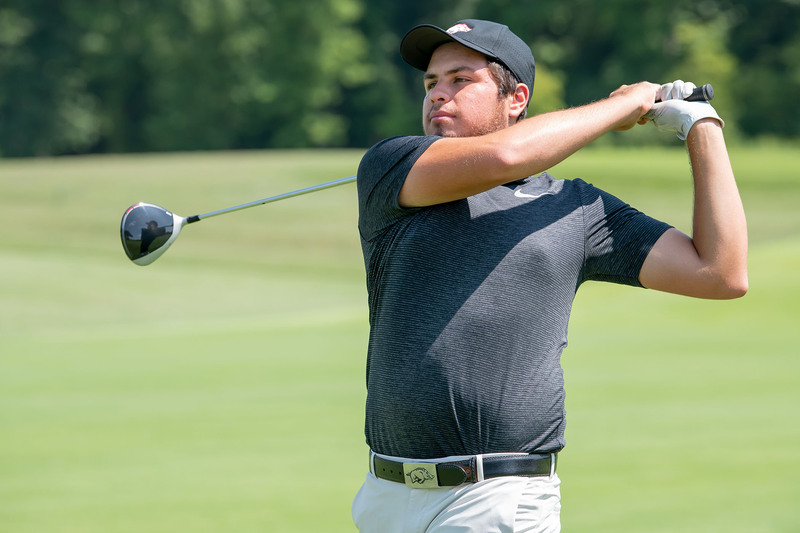 FAYETTEVILLE – Arkansas freshman Julian Perico shot the low round of the day – a 7-under-par 65 – and jumped from 61st to eighth in day two at the Latin America Amateur Championship, played at Teeth of the Dog Golf Course in Casa del Campo, Dominican Republic. Former Razorback and round one leader Alvaro Ortiz shot an even-par 72 Friday and is one stroke back after 36 holes with a two-day total of 138 (-6). Perico’s 36-hole score is 142 (-2). The winner of the Latin America Amateur Championship will be invited to play in the 2019 Masters and receive exemptions into the final stages of qualifying for The Open and U.S. Open in 2019. Perico, playing in his third LAAC with a pair of top 15 finishes, opened his second round with a birdie on the par-4, 10th hole. He would then birdie holes 12 and 13 before finishing his front nine with birdies on holes 17 and 18 for a 31. Perico opened his back nine with four pars before a birdie on the par-5, 5th hole got him to 6-under. After a bogey on his 15th hole, Perico posted a par and closed his round with a pair of birdies for 7-under-par 65. Ortiz, who has two runner-up finishes and a third-place finish at the Championship, made the turn at 1-over after posting two birdies, a bogey and a double. He got back to even for the day with a birdie on the par-4, 11th hole and reeled off seven pars to complete his second round. Luis Garza shot three-over-par 75 Friday but missed the cut to advance to the weekend with a 36-hole score of 155 and tied for 76th.